There's a lot more to West Virginia than the mountains which give the state its nickname. Whether you're a sports fanatic, railroad enthusiast or science buff, you will find plenty to do in the Mountain State. True, you'll have to do some mountain driving to reach many of these spots, but the rewards are well worth your time. Here are our top picks for West Virginia sightseeing. Harpers Ferry, where the Shenandoah and Potomac Rivers meet, was the setting for John Brown's ill-fated slave uprising in 1859. During the Civil War, Harpers Ferry changed hands several times and was the site of General Thomas J. "Stonewall" Jackson's Confederate victory in 1862. Today, this picturesque old town is a National Historical Park, complete with museums, hiking trails and a truly spectacular view of the confluence of the Potomac and Shenandoah Rivers. Harpers Ferry is also a great place to go rafting. Seneca Rocks, a jagged rock formation in Pendleton County, West Virginia, attracts hikers, photographers and sightseers from around the country. They come for the sights – rocks soaring into a blue sky, birds wheeling above the green valley – as well as for the trails and for the natural beauty of the North Fork Valley. 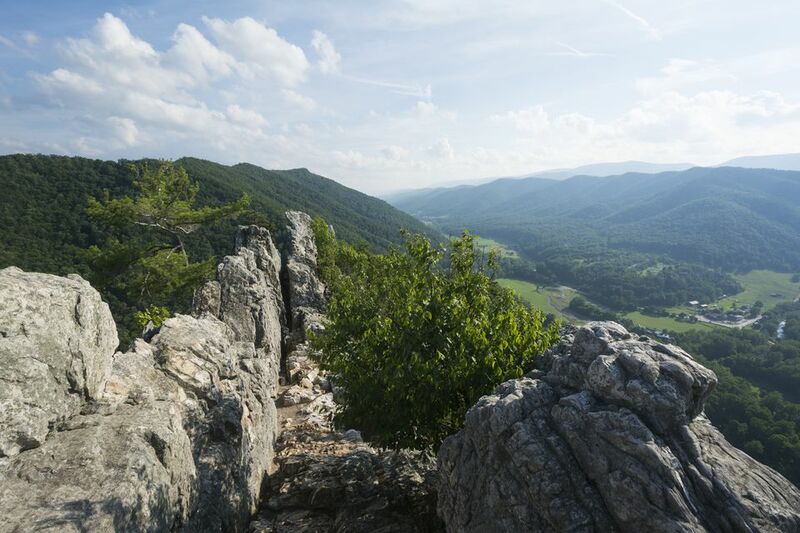 Bring your GPS and check out the geocache at the top of Seneca Rocks. West Virginia's most famous hotel, which opened in 1778, has a fabled history. The Greenbrier has played host to presidents, tycoons and stars. The hotel has also served as a military hospital (during the Civil War and World War II) and emergency bunker for the Cold War Congress. Today visitors travel to The Greenbrier to play golf, enjoy the hotel's renowned spa and relax in the serenity of West Virginia's forested mountains. In a lush green Pocahontas County valley, you can experience cutting-edge astronomy. The National Radio Astronomy Observatory (NRAO) in Green Bank, West Virginia is home to the largest fully-steerable radio telescope on Earth, the Robert C. Byrd Green Bank Telescope. Take a bus tour of the valley and see the many radio telescopes. Afterward, visit NRAO Green Bank's on-site museum to learn more about the astronomy research that is currently happening at the NRAO. West Virginia's mountains and rivers are more than just scenic destinations – they are home to West Virginia's many outdoor recreation adventures. Whitewater rafting, hiking and walking are popular summertime activities, while skiing and snow sports dominate the winter calendar. Take a scenic drive at any time of year; you will be rewarded with beautiful views and a close-up look at the natural beauty of the Mountain State. New River Gorge National River, part of the US National Park system, attracts over one million visitors each year. The park, which encompasses a 50-plus mile stretch of the New River, preserves some of West Virginia's best-known landmarks and view points, including the Great Bend Tunnel where legendary steel driver John Henry faced off against a steam-powered machine and the New River Bridge, over 3,000 feet long and 876 feet high. At New River Gorge National River, you can walk, hike, paddle, raft, camp and absorb the region's compelling coal mining heritage. Every October, the park hosts Bridge Day; BASE jumpers and rappellers gather on the bridge and leap, climb, and even zip line to the river below - 876 feet.